The WINTRAC XTREME is the first winter tire to be developed in partnership with Giugiaro Design. Aggressive, firm lines give the W-shaped tread its powerful appeal. Sipe technology was a priority for Vredestein in the design of the WINTRAC XTREME. Optimum Silica Processing (OSP) technology is incorporated in the fabrication of the tread compound, enhancing the winter performance and improving grip on wet surfaces. In addition, the equal distribution of pressure across the contact area ensures an even wear pattern, whereby low noise levels are assured throughout the tire's life-span. 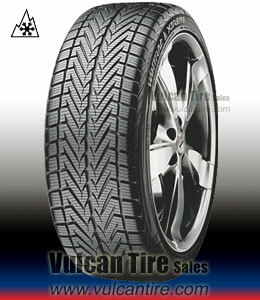 Straight sipes across the tread for a good grip on snow Zigzag sipes in the tread shoulders for perfect handling. 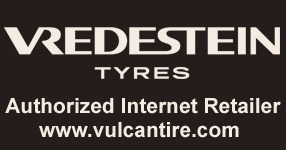 Speed ratings H, V and W offer a true high-performance winter tire with good course stability and steering precision. Equal distribution of pressure across the footprint offers low noise levels throughout the tire's life-span Perfect driving performance in winter conditions. Used on 400hp Subaru for daily diving, rally cross, and deep snow more than 2 feet. Excellent cutting of all surfaces. Was able to hold awesome 4wd slides with ease very. comfortable and quiet.